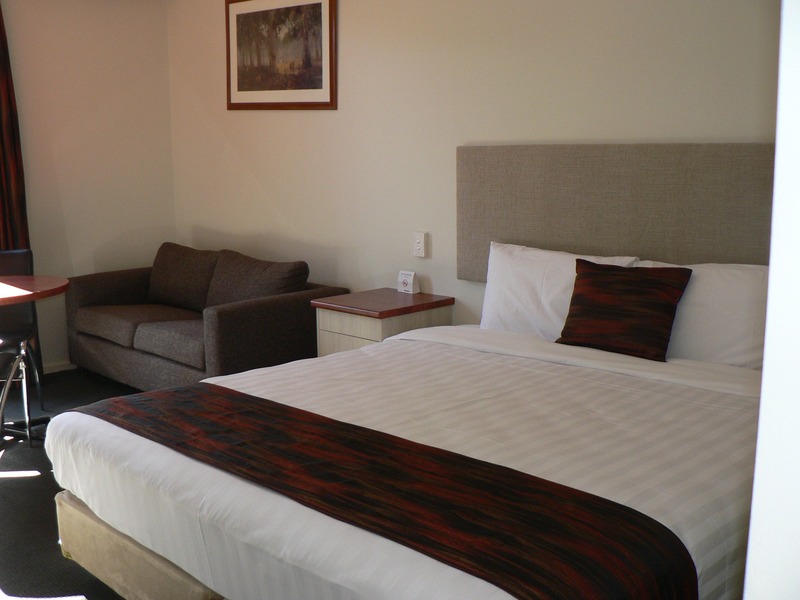 Prince of Wales Motor Inn is a privately owned corporate motel located adjacent to the Murrumbidgee River in the city centre. Business guests or holiday makers need only a short stroll to the Thirsty Crow Brewery, Wagga Five Cinema, Uneke cafe or Thaigga Thai restaurant. The on-site restaurant is open for dinner Monday – Thursday evenings and Tuesday – Friday for breakfast. (Room service breakfast available seven days). Off street parking and WiFi are free for guests staying at the Prince of Wales Motor Inn.